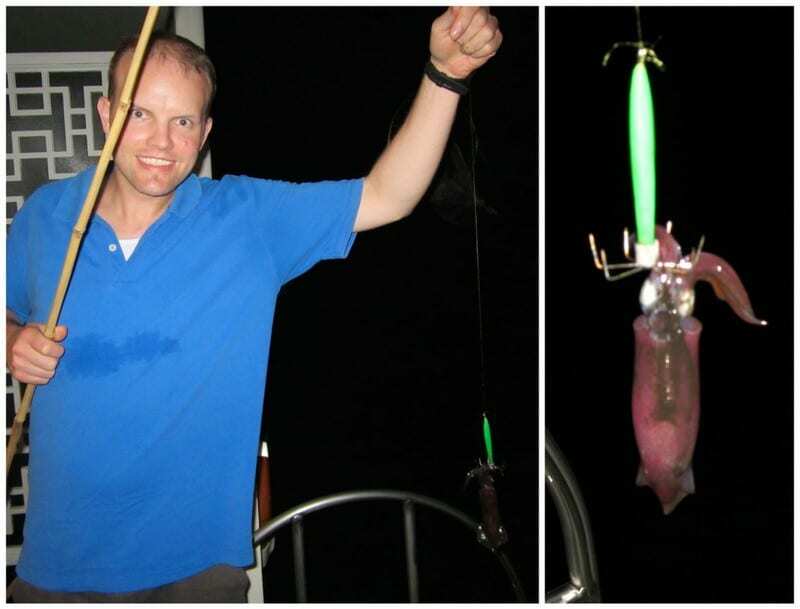 If you want to experience evening squid fishing, an amusing activity in the fishing trip on Halong luxury cruises, you have to enjoy the overnight cruise. 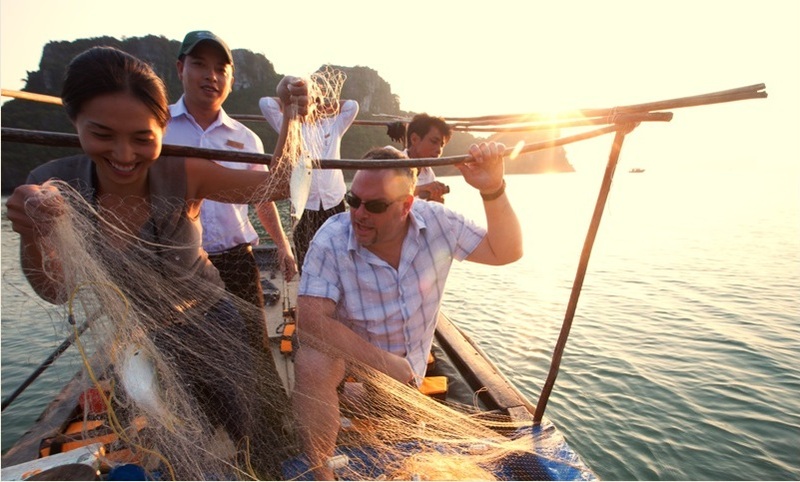 In this trip, after being transferred to a local fishing boat, which is beautifully designed in Vietnamese traditional style and experience making noise, tourists will receive instructions from local fishermen about how to fish squid in the sea, cast the fish net and get their results as a real locals. Tourists do not have to prepare means of catching fish as the cruise staff will provide them with fishing nets and fishing-rods for them to try to catch as many squid as possible. Especially during the squid season, going fishing at some nights and you can be excited to see clearly several large shoals of squid surrounding the cruiser and, step by step entice and pick each squid to remain their total fresh and convulsively striving flavor and each of you may catch up to 30 squids each night! 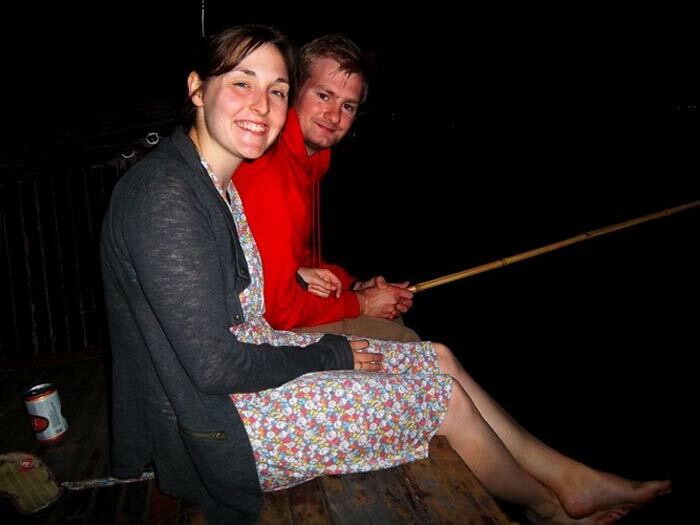 Being the special activities on board, squid fishing attracts so many customers. 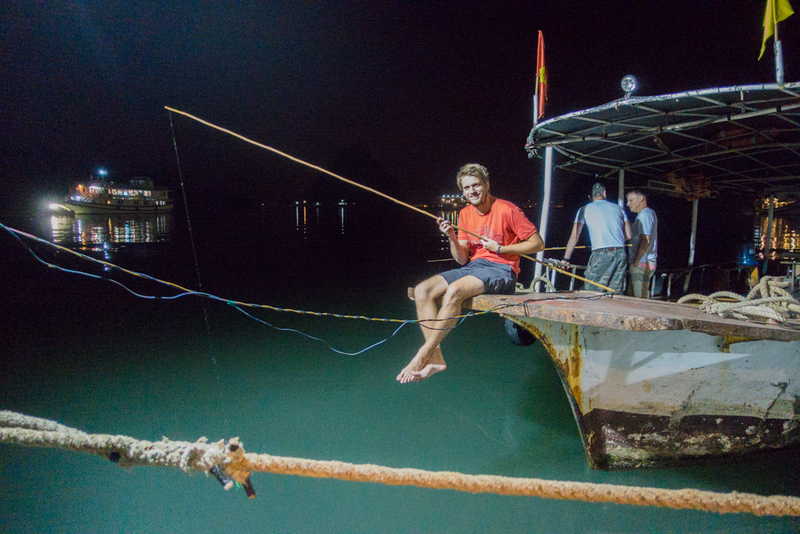 The only skill you need to have squid in Halong Bay is patient. Lucky as you are, you can certainly catch even 30 squids each night. 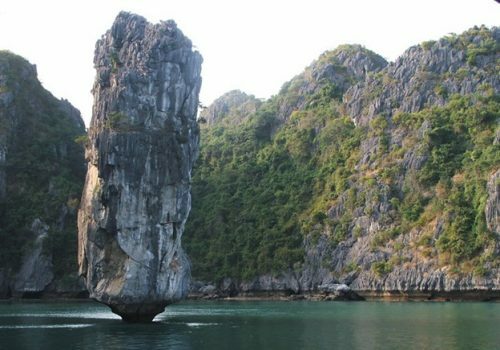 Spring time, about February to March is the best time for squid fishing on Halong Bay. During this time, squid fishing light is provided on the ship with squid fishing rods as there is no moonlight at all, so after trying squid fishing, do not be shy to have the Master Chef on ship keep your fresh squids at the refrigerator to prepare your own squid dishes next day. It is good news that there are so many customers doing successfully and all so happy with their own squid dishes on the next day. Moreover, to minimize your worries, leave your worries behind by enjoying how Halong’s peaceful beauty is and experiencing the awesome feelings of the squid fishing at the middle of World Heritage Site, squid fishing is such a wonder game.